The other part of the DLC is Origins. Like the name implies, it takes players back to when Dempsey, Nikolai, Takeo, and Richtofen first met on a French World War I battlefield. The map adopts an art-style Treyarch refers to as “dieselpunk” and features some pretty unique elements, such as a “zombie tank” which players can stand on to get a better shot on the zombies below, as well as a giant 1,000 ft. tall walking robot that looks like what would’ve happened had the Iron Giant landed on Earth without bumping his head. All in all, this seems like a pretty damn good DLC pack and a good way to send off the best Call of Duty game since 4. 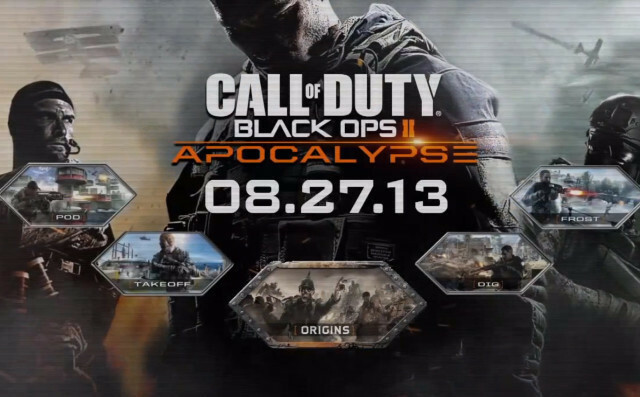 Apocalypse hits Xbox 360 on August 27th and at a later unannounced date on PC and PS3. As is the usual, no word on this or any other DLC pack coming to the Wii U version.